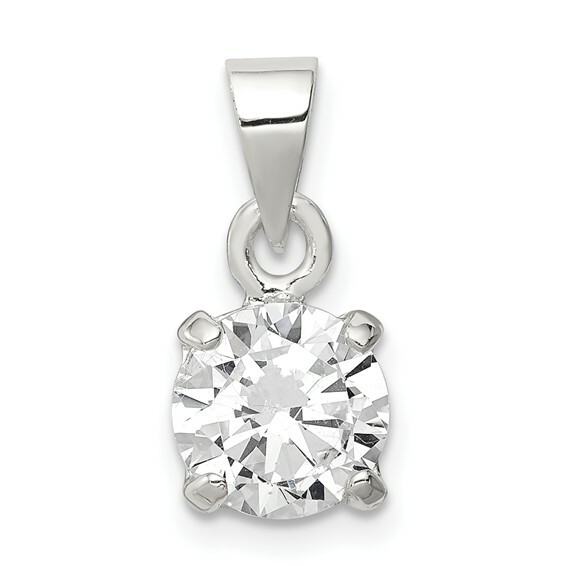 8mm round cubic zirconia solitaire pendant is made of sterling silver. Measures 5/8 inches tall by 5/16 inches wide. Weight:0.87 grams.